I had lunch yesterday with two of my besties and after a brief catch up, the conversation became quite deep quite quickly (as it does when you are speaking to people who know you). We are all at different stages in our lives. I’m thirteen/fourteen years older than they are. I’m unmarried and childless (you all know my journey). One is married and remains childless by choice. The third of us is unmarried, single and childless. She is probably the one of us going through the most significant personal growth at the moment. Our discussion centred around the perceived differences between life with children and life without, and what it means in our society for someone, especially women, to be childless. I’ve always wanted my own children but the girls really forced me to question why. And whether those reasons are still relevant in my life today. And if there are other things that I might want more. Basically, they were asking what the pay off (as Dr Phil would say) would be for each path. And it has left me thinking. Fortunately, I leave Sydney tomorrow, not on a jet plane, but on a cruise ship, for two weeks, where I will have time and open ocean to consider these questions. My married friend and her husband enjoy their life together. They provide one another room to grow, and support each other’s interests. She says that whilst being childless is her choice, and she feels it is the right one for them, that she still acknowledges there will be times in her life when she will grieve that choice. And that’s okay. There is much that I desire to achieve throughout my life. I have enjoyed my free time during the holidays. Mostly I have enjoyed reading and writing for hours on end. And I mean hours. One after the other. Silence embracing me to allow the creative spirit to enter unencumbered. No interruptions. Nothing else to do. And I’m left asking, do I want this more? My other friend, childless and single but significantly younger than me, is contemplating her future. She says that she isn’t ready for kids for at least ten years. She wants to travel, continue to have fun, and find a partner to share her life with her. She is looking in to options for child bearing that will support her choices. What a wonderful time in civilisation it is that we, as women, have a measure of control over our destinies. All it takes is courage to not follow the status quo. Don’t get me wrong, there is nothing wrong with the status quo if that is what you want. There is something wrong with it if you want something else. I feel very blessed to have these two as my friends. They prove to me that it is okay for us to follow our own paths, even against the status quo. I equally feel blessed to have so many of my other close friends in exceptionally happy and healthy marriages. They prove to me that the fairytale does exist and I’ve been right to not settle. I also feel very blessed that in my travels in the last five years I have met many over forty childless by choice women who are empowered and living their dream. And I feel blessed to have shared the fertility/infertility journey with other women. One of whom, after failed attempts at IVF, is currently in another country celebrating her freedom. I have some deep searching to do during my cruise. I stand at an important cross roads: What do I really want? Have an amazing time on your cruise. There is a lot of deep thought going on here and I love that phrase “and that’s okay”. Thank you. I would answer similarly to you and add a few things in terms of fostering. Too much thought going on in my head but it will be positive in the end and once I manage to fit all of my stuff into my suitcase. Lord knows how I managed to backpack a European winter for three months because this two week summer cruise is killing my suitcase lol. Underpack! My parents went away on a cruise with one empty suitcase and it came back full! 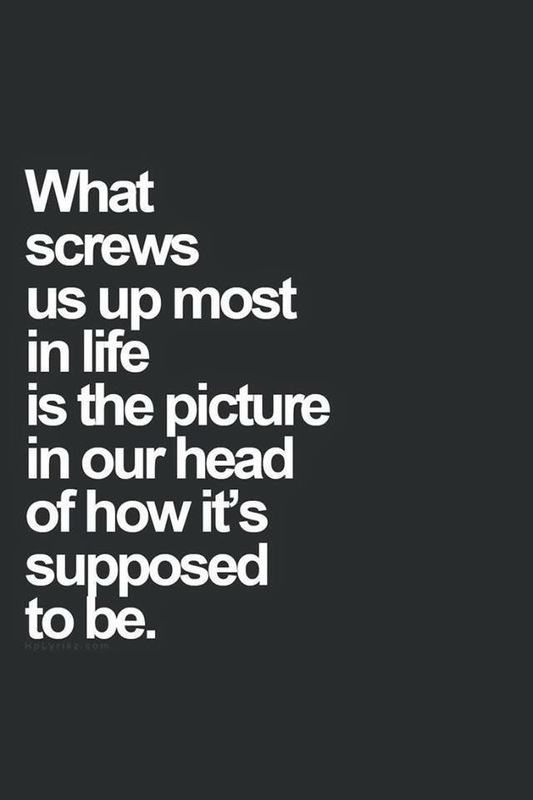 It’s amazing how we all get a picture in our head about how our life is going to be, and how difficult it is to adjust to a new reality. I wanted my first child to be a girl. After 4 ultrasound techs telling me he was probably a girl, the 20 week ultrasound was a definite boy. I was heartbroken. I learned to love my boy and started hoping the second would be a girl. Two miscarriages later, I didn’t care when the tech told me pregnancy 4 was also a boy. He was still alive, and that’s what mattered. Now, I’m glad to have two boys. I don’t want a girl anymore. My sister in law has always wanted children. At 25 she was diagnosed with cervical cancer. She had embryos frozen before her uterus was removed and eventually came to terms with the fact that she would not be able to carry her own children. At 29, she received a terminal diagnosis and had to cone to terms with the fact that she would also not see them grow up. She couldn’t bear the thought of not having children, so we got started on IVF immediately. Of her 13 embryos, 1 died during thaw, 9 died during refreeze, and the 2 they put in me didn’t take. That news was harder for me than both my miscarriages put together because it was the end of her dream. I can’t even imagine how hard it was for her. She is keeping positive even though she has already endured far more than anyone should have to. Attitude really does change everything. Oh and thank you for sharing. I am humbled and grateful that you have.